Consumers and home builders alike are consistently looking for new building strategies that are cost-effective and deliver high-quality results. A popular choice in many climates, insulated concrete forms (ICF's) provide tight building prospects and continuous insulation. Outperforming many other building techniques, ICF homes are well-insulated and energy-efficient. What are Insulated Concrete Form (ICF) Homes? Consisting of cast-in-place concrete walls, insulated concrete forms are placed between two layers of insulation material. Insulation material is comprised of expanded polystyrene foam. These foam insulation blocks are interlocking and connected via steel rods. During construction, two insulating pieces of foam block are separated by a space connector and concrete is poured into the cavity. Foam blocks are left in place to insulate the new home throughout its life. At 11" thick, with a 6" concrete core, these structures offer strong impact resistance. Strong impact resistance makes ICF homes an excellent choice for regions prone to severe weather, such as Florida. Does it Cost More to Build an ICF House? A cost-effective option, insulated concrete form houses are engineered to handle significantly greater loads than concrete masonry unit (CMU) houses. Able to span distances and support weights that would otherwise require big steel or concrete columns, ICF walls speed up construction time, create a safer work environment, and require fewer workers. A single ICF form is equal in size to 6 CMU blocks, as well as lighter, quicker to stack, and already insulated. An ICF house costs around 4-7% more to build than a conventional wood-frame wall home. However, other construction savings greatly reduces this increase like having smaller HVAC systems or no furring out of block walls since the ICF’s are ready to accept drywall with no additional steps. In addition the 30-70% savings in energy costs and consumption offsets some of the first costs required to build an ICF home. ICF walls are high-quality and ICF homes require small mechanical systems. These both contribute to lower monthly operational costs to the homeowner. A smaller HVAC also results in reduced greenhouse gas emissions over the life of the home. Continually improving in both function and affordability, ICF homes will provide an array of long-term payoffs. To build a quality ICF home an experienced construction crew is needed. Gast Homes uses an in-house construction crew, providing significant cost-savings and offering a better home for less. What Are the Benefits of Building an Insulated Concrete Form (ICF) House? There are several benefits to building or choosing an ICF home. ICF houses are versatile structures and can display a variety of architectural styles on both the inside and outside. Traditional and non-traditional sidings, such as wood, brick, etc., can be applied to exterior and interior faces. In addition to versatile design, ICF's surpass other building techniques in numerous ways. Five times quieter than a traditional wood-frame home, insulated concrete form houses provide an impressive quality of soundproof walls and rooms. Insulated concrete form walls offer unparalleled peace and quiet for homeowners and residents. Outside noise is almost completely diminished. According to various sound transmission testing, insulated concrete form walls allow one-third or less as much sound to travel through than regular frame walls. Reducing air infiltration by 75%, insulated concrete form walls are highly beneficial to asthma sufferers, hay fever sufferers, and all others who suffer from various airborne allergies. Alleviating allergies and reducing leakage of outside air, ICF walls prevent dust, pollen, and other pollutants from traveling into the home. Additionally, insulated concrete form walls are non-toxic. Measurements taken from actual ICF homes have shown air contents are almost completely absent of any notable emissions. Effective insulation, tighter construction, and temperature-moderating walls conserve heating and cooling energy. Both wood-frame and CMU structures are not as energy-efficient as ICF structures. Reducing your monthly bills and fuel usage, ICF structures require small heating and cooling units. These small units save money and reduce emissions. Smaller equipment also cuts initial construction costs by an estimated $500 to $2,000. ICF walls require about 44% less energy to heat and 32% less energy to cool than similar frame houses. 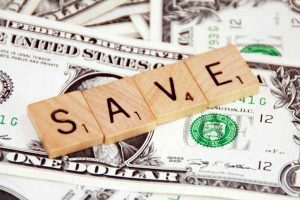 Depending on the size of the house, savings can be more or less. In hotter areas, such as Florida, heating savings will be less and cooling savings significantly more. In addition to cutting down on energy loss, ICF walls boast a heat-absorbing property called thermal mass. This ability allows them to resist swings in temperature. Keeping the walls cooler when the outdoor temperature is hot keeps you and your family comfortable. Due to thermal mass, estimating the size of HVAC equipment for ICF homes is complicated. Simulated prior to construction, HVAC sizing is carefully calculated to produce the most cost and energy-savings. With monolithic concrete walls, ICF homes are 10 times stronger than wood-framed structures and 4 times stronger than CMU structures. Built with powerful materials, ICF homes are among the safest and most durable modern structures. Resistant to fire, high winds, earthquakes, tornadoes, and hurricanes, ICF houses often create a safe room that offers protection from winds as high as 250 mph. Structurally sound, ICF walls have been consistently shown to withstand earthquakes. The strength of materials used is unmatched. Reinforced to handle disastrous weather conditions, ICF walls are built to last in areas that suffer from earthquakes. ICF walls have been shown to tolerate exposure to fire for an unprecedented amount of time. Compared to other wall frames, ICF walls last longer without structural failure. ICF walls also consistently prevent high flame spread and smoke development. High winds result in debris. Debris can destroy homes. When comparing the impact resistance of concrete walls to conventionally framed walls, concrete walls are more effective at stopping debris. Demonstrating their strength, ICF walls easily resist wind-driven debris. ICF homes are far superior to other homes in areas that suffer from tornadoes. A devastating weather condition, tornadoes can instantly destroy homes. Offering the most protection for you and your family, an ICF home can withstand the intense winds accompanied by a tornado. Coastal areas suffer from regular hurricanes or hurricane seasons. ICF homes are highly effective in these areas. Built with the strongest possible materials, insulated concrete forms are proven to hold up when met with projectiles from a hurricane. Supplying protection from severe weather events, fire resistance, and enhanced air quality, ICF homes are considered higher quality than other homes. Mold and mildew do not grow in ICF walls. Pests, rodents, and insects don't penetrate insulated concrete form walls. ICF walls don't trap moisture within the wall cavity. Offering a lengthy list of benefits, ICF homes are considered safer to insure than other types of homes. 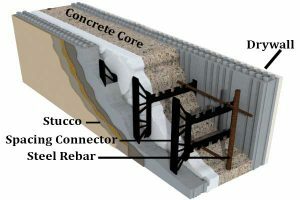 Strong, durable construction has helped insulated concrete form structures build a positive reputation. Energy savings benefits associated with ICF are well-known. As its popularity grows, ICF construction continues to result in reduced insurance rates for homeowners who choose to buy or build this type of house. Aware of the value of an ICF structure in hurricane prone areas of Florida, insurance companies increasingly encourage these types of homes by offering rate reductions. Credits attributed to ICF construction, general liability insurance savings, and wind insurance savings are all noticeably high compared to wood-frame homes located in the same areas. Surviving natural disasters, an ICF home will help protect your family and your belongings at a reasonable price. Concrete is a strong and low-maintenance building material. The construction involved with building ICF walls is meant to create a long-lasting product. Resistant to mold, mildew, rust, rot, etc. equals less repair and maintenance fees. Further cost-savings is experienced from the minimal long-term maintenance requirements of an ICF home. A versatile construction method, ICF house plans vary. Anything from a ranch-style home to a townhouse can be built with insulated concrete form. Square footage, floors, bedrooms, bathrooms, garage bays, etc. can all be customized to fit your individual needs. Home plans using ICF can be designed to reflect an assortment of features. An open floor plan, two master suites, a walk-out basement, a wraparound porch, a fireplace, etc. are all popular features. When searching for your ideal home, ICF provides a starting point. Easily adapted to any type of building project, insulated concrete form construction is a flexible building method. When adapting ICF, stretching the exterior walls outward is optional. This accommodates thicker walls. Radius walls and long spans are easily created with ICF, while difficult to do with frame or block building methods. Windows can also be made bigger in seismic zones. The wealth of design options accompanied by ICF allows your preferred home style to become a reality. Helping you find your dream home, Gast Homes can select the best matches or create a completely new design that incorporates your tastes and preferences. 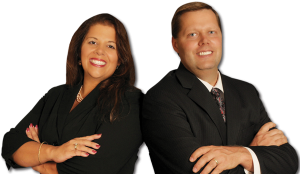 Offering 30+ ICF plans, including hard-to-find coastal elevated homes, ranches, two-stories, and condos, our team will help you determine what features in a home plan are important to you. Do Insulated Concrete Form (ICF) Homes Count as Fortified Construction? A set of engineering standards created to ensure new and existing properties are designed with system-specific upgrades, fortified construction strengthens homes from hurricanes, high winds, hail, and other severe forms of weather. ICF walls are used in fortified construction, but are not the only aspect of an officially-recognized fortified structure. Upgrade roof systems and impact glass windows are additional traits of a fortified structure. A designation created by the Institute for Business and Home Safety, a fortified home must meet 150 mph wind resistance. Inspected by the IBHS, if a home passes all official requirements it will be awarded a certification document. Officially-recognized fortified homeowners benefit from reduced insurance rates and enhanced safety. Can I Get an Insulated Concrete Form (ICF) Home Built in Florida? Due to its impact resistance and contribution to an officially fortified home, ICF is ideal for Florida homes. 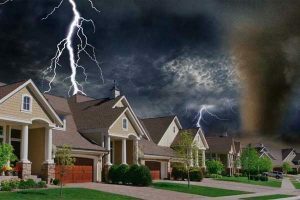 Florida experiences volatile weather and an ICF home will protect you and your family from dangerous weather events. Energy-efficient and cost-effective, ICF walls will also help you stay cool and save on air-conditioning costs. 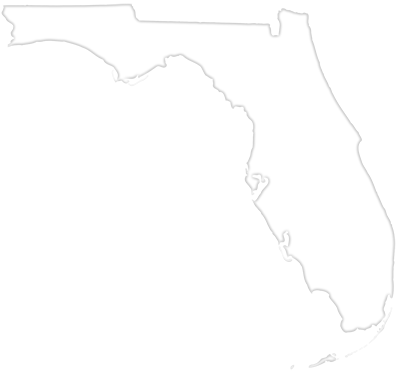 Specializing in insulated concrete form houses, Gast Homes builds ICF Homes across the whole state of Florida. Utilizing twenty-two base locations, houses are built by an in-house construction crew and materials are shipped from in-state manufacturers. Providing a variety of home plans, Gast Homes can help you find or build your ideal house. Allowing crews to construct buildings more easily, lightweight insulated concrete form performs better than conventional materials. Without compromising the integrity of a house, construction can be completed rapidly. Benefits associated with ICF aren't limited to ease and speed. The unique wall structure is energy-efficient and resistant to an array of issues, including hurricanes, rot, rusting, fire, and tornadoes. Costing the same as other building materials, but providing significantly greater benefits, insulated concrete form is the best option for a modern home. Contact Gast Homes today to learn more about our ICF homes.